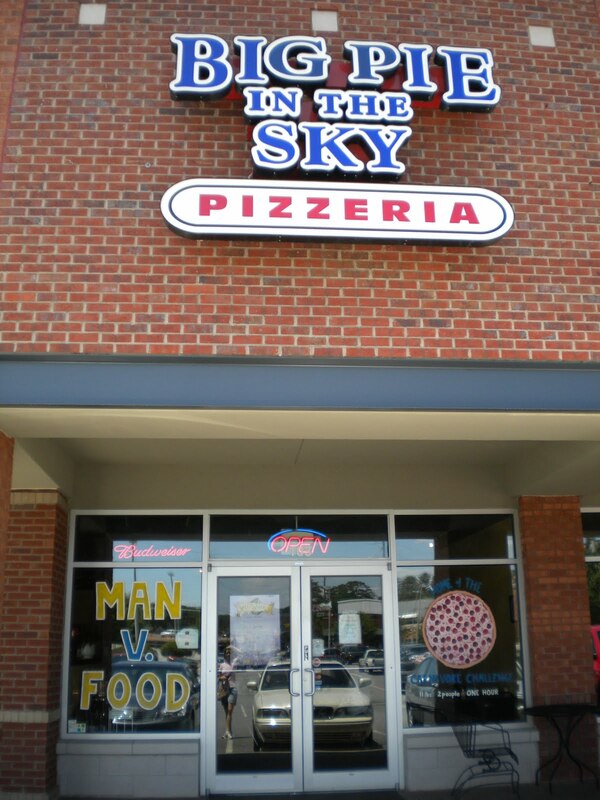 Big Pie in the Sky Pizzeria opened its doors in February of 2007 and quickly became a favorite among locals and students in Kennesaw. In 2009 we were featured on the Travel Channel’s Man v Food for our Carnivore Challenge, and have grown into a regional attraction! Our dough is made fresh from scratch every day using an original New York Style recipe. All pizzas are hand tossed and topped with only the best ingredients and cooked on a stone deck oven. Customers can order by the slice and create their own perfect slice of pizza, but be warned, our slices are cut from a 30 inch pizza and are bigger than any you have ever seen!!! We also serve calzones and stromboli in addition to a variety of subs and salads. 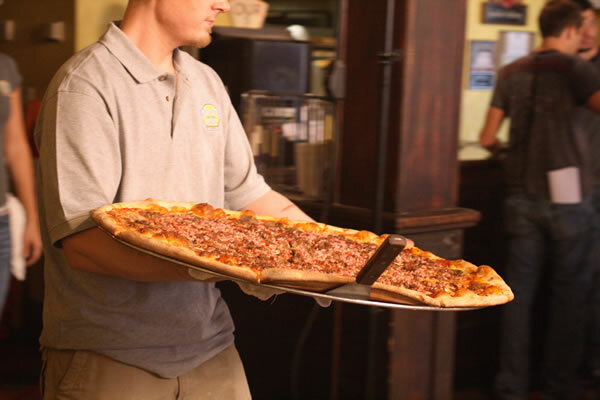 Pizza can be ordered in sizes that range from our 16″ Medium (our name is Big Pie for a reason) up to our 30″ XL. The size and taste of our pizzas is unmatched by any other pizzeria in Georgia and the quality of our food and service is first class. We would love to treat you to a pizza experience unlike any other, so bring your family and come visit us at Big Pie in the Sky Pizzeria. Check out our locations for contact information.